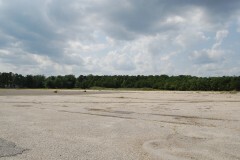 Brick Township has incurred soft costs, years of legal fees and millions of dollars in debt service and lost tax revenue due to M&M Realty Partners’ failure to carry out a redevelopment agreement for the former Foodtown property on Route 70, the township alleges in a counterclaim filed in response to M&M’s lawsuit against the municipal government. The counterclaim was filed in the past several days alongside an answer to M&M’s suit against Brick, according to a copy of the legal action provided to Brick Shorebeat. In September, Mayor John Ducey moved to terminate the agreement with M&M over what he said were missed deadlines for the site to be developed; the termination was formalized Dec. 29. M&M is now suing the township to stay on as developer, claiming that the township did not fully cooperate in getting state Department of Transportation approval for development and never responded to a $100,000 deposit it mailed after the termination was announced in September. In the latest legal filing, the township is seeking to recoup soft costs of maintaining the Foodtown site, legal fees and the loss of tax revenue, the value of infrastructure improvements that would have been made had the property been developed, plus the cost of debt service and interest on the property itself, which the township purchased in 2003 for $6.1 million. The counterclaim does not specify the exact amount of damages the township is claiming, however township officials recently said that inaction on the part of M&M has cost taxpayers $3.9 million. Each year, according to statistics released by Mayor John Ducey last month, Brick taxpayers fork over $465,192 in debt service on the property and, since 2003, have paid $3.9 million. “As a direct and proximate result of plaintiffs’ breaches of the redevelopment agreement, defendants have and will continue to sustain losses and damages,” the counterclaim states. The township is being represented by McManimon, Scotland & Baumann, its redevelopment counsel, in the litigation.